A shopper bag with irish seasons sheep, easy and 100% cotton. 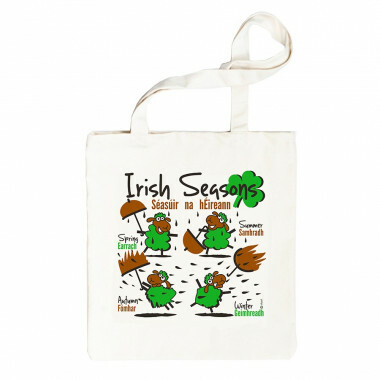 A funny shopper bag with sheep representing irish weather seasons. All four seasons are in english and in gaelic. A shopper bag, light and easy to store. Dimensions: 38 X 40 cm.